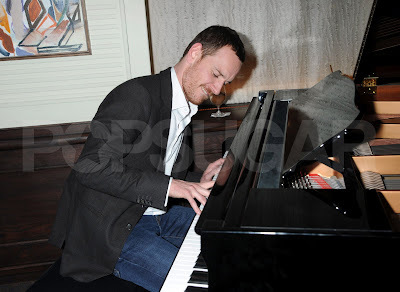 Fassinating Fassbender - A Michael Fassbender Fan Blog: The Happiest Manboy in the World! The Happiest Manboy in the World! Michael Fassbender was in high form at last night's afterparty (possibly the final one) for 'A Dangerous Method' premiere in London! I wonder who was leading. He is so adorable I can't even handle it! Michael Fassbender is too much for me ! Look at him, adorable and hilarious at the same time. He must be so fun to party with! I want to hear him play the piano in a movie one of these days! *Sigh* Michael brings joy and fun to every occasion. Just look at the people in the background, they're all smiling and having a good time. Is that him being playful with a paparazzo? How anti-Sean Penn. The man who is giving Michael a piggyback ride, is that his agent? You has a great blog and articles. Good job writing. Nice to stoping here and gives you a comment here. Okay, i'm waiting your comment back into my blog. I read that Michael also danced with the (male) editor of UK GQ. maybe that's the "agenty" looking dude? hahaha how charming is he ? @anon 1:07, so the agenty-looking dude danced so well with Michael, that the boy also wanted a piggy-back ride to boot. How cute! LOL! 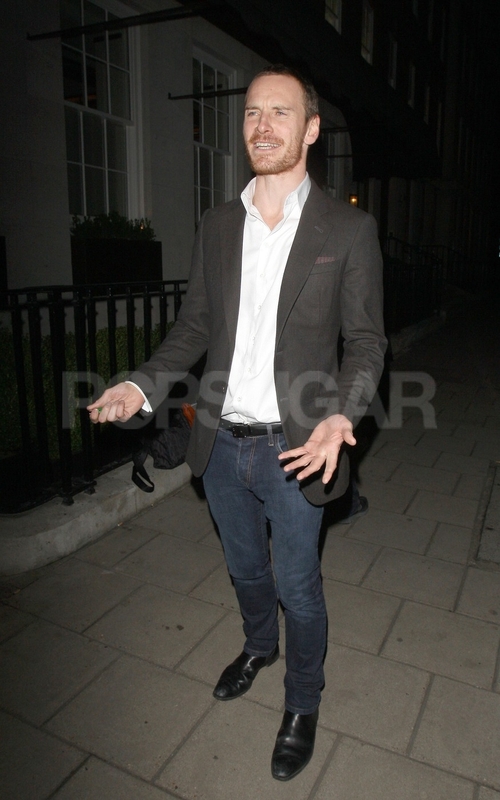 Oh my gosh, was he drunk? Lol. I love that he is always having so much fun. I think he was pretending to be Magneto with that paparazzo. LMAO!! Nah, the editor of GQ is Dylan Jones, he's a bald bloke usually in a very natty suit. No idea who the agenty-looking bloke is. I think we'd all like to BE him, though! LMAO that vid is awesome! And I love Tom Petty too! I absolutely love the pictures and video. Michael is hilarious and I love seeing him have a good time! It was nice to hear his answer about the Oscar snub, because I was curious more than anything. 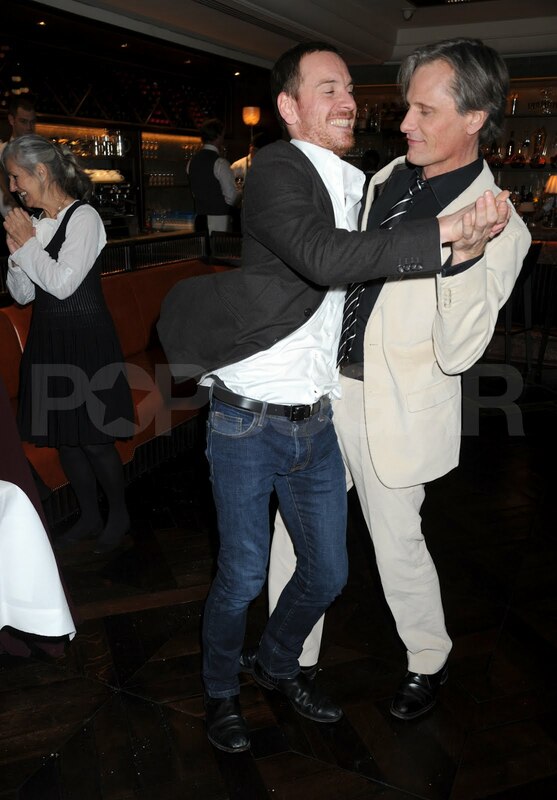 I think my favorite picture is the one circulating of Michael kicking at the camera... Or dancing the Viggo. Just awesome lol. i was out some days but im happy Michael had great time. he really enjoyed that night why other looked so embarrassed and lost near of him.